Creamy, smooth, subtly sweet, rich & decadent… need I go on? This week we’re sharing with you the recipe for the very first treat we ever sold! These Raw Lavender & Earl Grey Cheesecake Bites, while still being free of refined sugars, were delicious enough to have the patrons at Sarnia’s first Vegfest sell us clean out of them! Go ahead & give em a try for yourself, we promise they won’t disappoint! The trick is in soaking the cashews in tea overnight, allowing them to absorb the complex flavours and transform from a boring old nut to a creamy, smooth “cheesecake” filling. Lavender and Earl Grey have always been favourite flavours of mine & they pair so nicely with the slight sweetness of the crust, allowing each flavour to really shine through without being overbearing. Be patient with these ones, allow the filling to really blend up into a smooth & creamy paste, this is a lump free zone!! If you have a highspeed blender this is easily accomplished, but if you have a food processor or a regular blender this can be done by simply allowing an extended blending time period. If you remake these beautiful bites make sure to tag us in your photos & let us know what you thought! RECIPE: Makes 12 Lavender & Earl Grey Cheesecake Bites. Brew 2-3 cups of Lavender & Earl Grey Tea, you want this stronger than a tea you would drink, cover cashews with the brewed tea. Set in the fridge in a mason jar or bowl & allow to soak overnight. To make the crust blend first the almonds into a meal, but with a bit of texture left, you don’t want it to become almond flour. Next blend together the soaked dates with the almonds, coconut, salt, and vanilla. This can be done in a food processor & you will know when it is done when it forms a ball of raw “crust”. Line a a 6×2 pan, or any other smaller sized square pan, with parchment paper and press in the crust evenly. Place this in the freezer to set while you make the filling. To make the filling start with blending the cashews in a highspeed blender with 4 tbsp of the tea they were soaked overnight in & the remainder of the filling ingredients. After blended until fully smooth (no lumps!!! 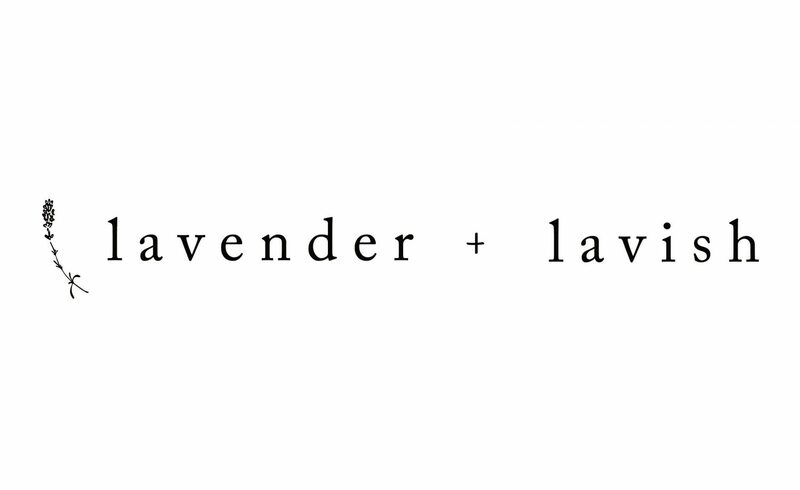 ), stir in a few tbsp of dried food grade lavender, or dried lavender tea. Take 1/4 cup of this filling and blend together with 1 cup of fresh or frozen blueberries. Strain this mixture to get out any pieces of blueberry skin, leaving a creamy blue-coloured top layer. Remove the crust from the freezer and layer on the white cashew layer smoothing out the top, set this in the freezer for a few minutes just until it has firmed up enough for the next layer. Layer on the blueberry & cashew mixture, smoothing out the top once again. Allow this to set for at least 5 hours or overnight in the fridge or freezer. Slice into 12 squares & enjoy!! These bites can be topped with melted coconut butter and a few extra buds of lavender & will be stable in the fridge, (they will only last a few hours out of the fridge before becoming droopy).